"for every Mac user there are 18 iPhone and iPad users" - Yes there is, but nothing goes down as fast as a fashion company the gets uncool. Combine that with a company that increasing is pricing themselves out of the market in country after country, that don't bother to renew hardware so they lose their highest paying and historically most loyal customers. Look, Apple can focus all they want on fashion customers, group identities, virtue signaling, and production of toothless moves and curated news. I say GOOD LUCK with all of that, because it is a recipe for moving the company into something people easily can turn agains and away from. Apple used to be the pride of the industry, the beacon everyone looked up to while they stole it's technologies scrambling to keep up. – Not so any more. Apple is over 40 years old. What other PC companies of their era have this staying power, not to mention mind-blowing historic success? They aren't pricing themselves out of anything -- despite you whiners, the X was the best selling model offered since it came out. And they're still killing it. Raising the price of the Mini to accommodate inflation and switch from mobile to desktop components isn't pricing themselves out of the market either. Apple used to be the scorn of the industry, until their maddening success proved otherwise. And their designs are still ripped off every year. Get real my guy. Yea, that was before Steve died. What product released after his death has been as successful? Their revenues are tiny. Insignificant. Ever hear of the billion dollar drug? It’s an informal measure in the biotech/pharma industry that signifies a blockbuster new medicine. $1b in annual revenue is never tiny or insignificant. Apple Watch is likely running at $10b+, AirPods at $4b, Apple Music at $5b, Beats at $2-3b, pencil+HomePod maybe adds $1b. Apple is minting blockbusters whole iPhone revenue is up very significantly since the company went to large screens, counter to Jobs proclamations about one-handed use. Now you wanna say the iPhone and every advance made to it is all down to Steve, then you also gotta own his position on one-handed use and stand on the their he’d have never allowed larger screens. So it’s not about which products were released after Jobs died; that’s an arbitrary, but convenient for your argument, position. Apple itself is an incredibly successful company, with zero signs of slowing down. No, what I’m saying is that Steve was all about FOCUS. He would not have made 3-4 variations of the same sized phones. He would have made 2. A large iPhone and a small iPhone. Just like he did with the iPad before he died. Instead, now we have the Plus, the X, the Xr, the X plus...do you see where I’m going with this? Why do they have so many variations of a large phone separated by so little difference? Where is the small version? If you recall, Cook use to make fun of Android for being fragmented. So why is he fragmenting the iPhone lineup? I’ll tell you why. Like Android OEMs, he has no clue what people want and will just spray and pray hoping something sticks. Well, there are those of us out there who’s simpatico with Steve’s way of doing things. The greatest mistake he made before he died was telling Cook to never , “ask what would Steve do.” As we can now all see the fallout from that single mistake. Why Apple is focusing on users not units? Because units aren’t growing like they used to. I will say though seeing Apple become a company focused on extracting more money out of existing users is kind of depressing. Not nearly as exciting as the great product reveal on stage. Exactly the strategy Sculley used and look how well that turned out? When you focus on extracting every last dollar out of your customers instead of making the best products, it’s a race to the bottom. So your contention is that Apple is NOT trying to make the best products in their markets? - The iPhone XS/Max/XR are not "best products"? That is not what reviewers and customer satisfaction says. - Apple is not making the best smart watch? That is not what users, marketshare or profit share would say. - Apple is not the leader in the top tier of laptops/desktops? That is not what users, profit share, creatives, and non-corp use would say. - The iPad is not, essentially, the only true "computing tablet" in the market, with a share greater than 80% for devices over $200? And Apple didn't just introduce the most advanced tablet ever with the new iPad Pros, with amazing screen, computation, drawing capability, graphics...? 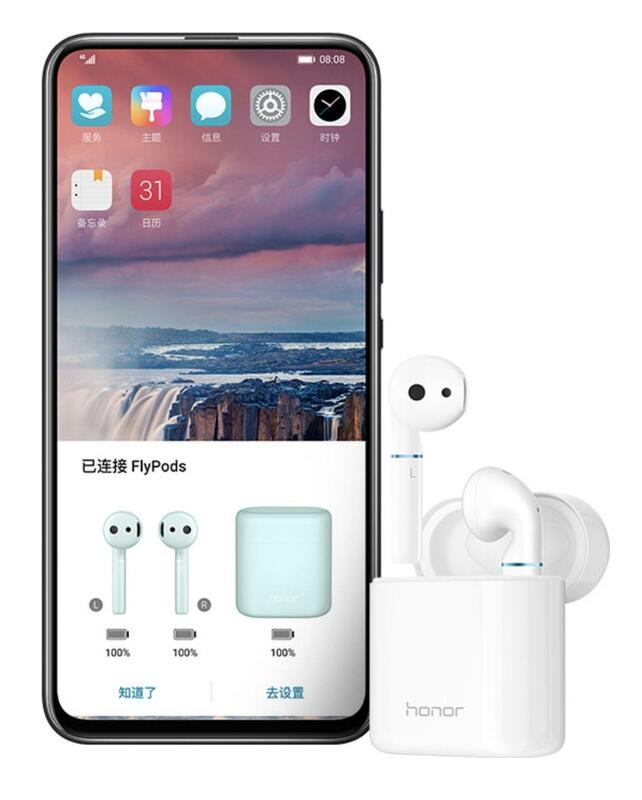 - AirPods are not considered the best truly wireless earphone buds for the broad market, with incredible user satisfaction? You can "make money from your user base", but do so BY having great products. Now, I realize that there is no arguing with someone like you, when your biases and delusion are so clearly evident. But if you have any reading comprehension, give it a try. No, it is you who don’t “get it.” Blackberry was once considered the “best.” But best of what exactly? Sure, you can claim that by having a market share in the 90’s and making buckets of cash that it’s somehow “great.” But to great product visionaries like Steve, they were garbage. So, the problem with you and people like you is that, to quote Steve about MSFT, “you have no taste.” You wouldn’t know a great product if it fell on top of your head. Neither does Apple after Steve’s death. I’ll give you a couple of example, first Apple Watch. One of the great talents of Steve was that he could immediately tell you what the essential feature/s of a product need/s to have BEFORE launch. He will not launch the product unless those feature/s are available. So what exactly is the essential feature of the Apple Watch? Clearly, Cook didn’t have a clue. His initial strategy was to try to compete against luxury watches. He thought that it’s a luxury fashion product. He hired Angela thinking that the next great Apple product needs a fashion expert. That’s dumb. If Steve were alive he would curse him out for being so dumb. So, do you know what the essential feature is? I’ll tell you what it is, it’s health diagnostics. The watch has nothing to do with fashion and everything to do with health. So, after 4 years they finally come around to making it read EKG. What about blood pressure, what about other vital stats? The real killer feature is to be a real time vitals monitoring device. It’s having a doctor strapped to your wrists. So, if you realize that THIS is the true value in building and selling a watch, would you have released it so soon and without any of those features? Well, Cook did. Second, AirPods. The first interation was decent but why haven’t they released a noise canceling version? They already have most of the technological pieces in place. Surely they realize how many more people are interested in this killer feature right? I mean, you’ve gotta be really dense not to know this and yet, it’s been 2 years. Where is it? How many more years will it take before Cook realizes that this is a killer feature? Instead, I bet the next version won’t have it but will have some other pretty useless feature that he will then attempt to spin that it’s the greatest thing since sliced bread. Stage #1) A company invents a revolutionary product or service, like the iPhone, or Facebook, or Amazon, etc. The invention is enough by itself to move massive sales, account signups, brand loyalty, whatever your metric is. The company becomes a leader in the stock market and otherwise. Stage #2) Over time the novelty of the product wears off, competitors catch up and market saturation slowly creeps in. The net result is slowed sales. Stage #3) Faced with slowing sales, heightened shareholder expectations and increased operating costs (due to having more staff, etc. ), companies compensate by increasing prices and increasing the number and range of available products to try and keep growth from slowing too much. Sound familiar?? 4) The increased prices compensate for reduced sales over a short period due to customers being locked in, brand loyalty, etc., but over time the higher prices reduce demand even further and the company starts to trend downward on multiple fronts. What happens from here depends on many factors. Sometimes the company can find a new product or service to start the cycle again, sometimes they can't and just continue to service a reduced user base. Sometimes another company invents a new product that effectively outdoes the original company (kind of like what Apple did to Palm and the other smartphone providers originally). Sounds familiar because we've been hearing it for 10 years now about iOS. Except that Apple has outlived every pre-iOS platform, outlived American Android, and is outperforming Samsung/LG and all the companies in China in every metric apart from sales of <$300 phones that are a terrible business to be in. Apple is now selling +200M iPhones a year at ~$800, which is the best it has in all its years of trying. Are you saying that isn't sustainable, because people are suddenly going to run out and get a $400 OnePlus? If so, why haven't they done that for the last 5 years, and why did the $1,000 iPhone X turn into Apple's last hit? Rather than iPhone going away as promised, Apple introduced iPad and again outlived every pre-iOS tablet, outlived American Android tablets, and is now outperforming Samsung/LG and all the companies in China in every metric apart from sales of <$300 tablets that are a terrible business to be in. And then it introduced Apple WAtch and outlived every pre-Watch wearable, outlived American Android Wear, and is outperforming Samsung/LG and all the companies in China in every metric apart from sales of <$100 wearables that are a terrible business to be in. In ten years time, the usual suspects (the ones that are still alive) will be complaining how Apple is all about the Apple Watch and VR and AI and self-driving cars and services, and has completely forgotten about the iPhone and the Apple faithful that supported it. Yes, 2nickelstripper is right; that is the standard life-cycle for a company, but he has forgotten that Apple is the master of reinvention. And with each reinvention, it increases the installed base for the entire ecosystem. Sorry but you must not know math. How is a $200 watch suppose to replace a $1000 iPhone or a $1400 Mac in revenue? Do you plan to buy your dog a watch?